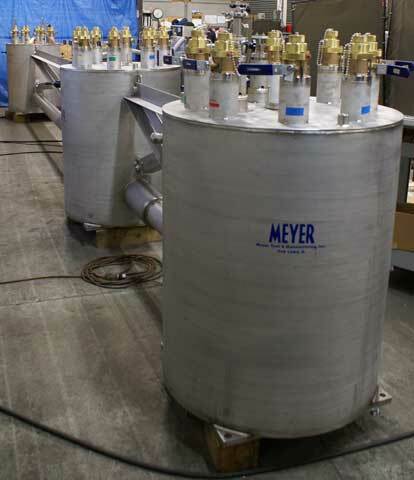 12Gev CEBAF Upgrade Achieves DOE CD-4A - Meyer Tool & Mfg. Congratulations to Jefferson Lab (JLab) upon completion of Critical Decision-4A for the 12GeV CEBAF Upgrade Project. This project milestone means that the Department of Energy (DOE) recognizes that JLab has reached “Accelerator Project Completion and Start of Operations” and allows JLab to start experimental operations. The 12GeV Upgrade project doubles CEBAF’s maximum operation energy. With the accelerator upgrade complete, the next goal for JLab is to complete the Experimental Hall upgrades. This includes commissioning of Hall D beam this fall and completing halls B and C experimental equipment by September of 2017. Assisting customers in meeting their goals is part of Meyer Tool’s dedication to our Reduce Project Risk process and promise to help you achieve the lowest total cost of ownership. Congratulations JLab!